In this technology-driven world, children are continually spend more time in front of the TV, tablet and smart phones. The time of actually playing is significantly reduced. As a parent, it is essential that you encourage your kids to engage in imaginative play games. Pretend play games along with various pretend toys such as pretend play kitchens and doctor sets, provide many benefits for your kids and for their early development. Pretend play is a play when kids use their imagination to create scenarios that include multiple perspectives, whether playing alone or with other kids. Many studies have shown that the advantages of the pretend play games are vital for proper development. The importance of the pretend toys today is huge. Maybe it looks unusual to you, but pretend toys are very important because they support the development of language, social, mental and motor skills. They also spark the creativity in your child, and promote proper emotional development and imagination. Kids learn and develop many skills by interacting with boys or girls pretend toys, and by exploring different possibilities. Watching cartoons and dressing your child in costumes doesn’t fall under quality play time. It is important to spend active time with your kids, and to help them learn good manners, boost their awareness and encourage imagination, intelligence, self-control, etc. 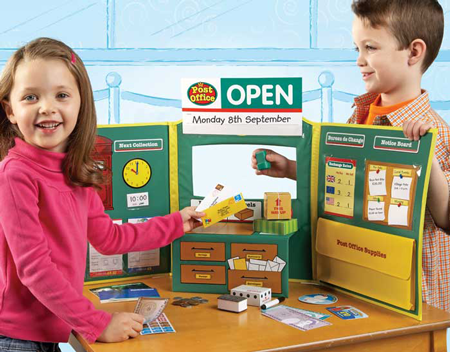 So, here is a question, why are pretend play games along with pretend toys so meaningful? There is just one simple answer to this question, and that is: when kids spend time playing with pretend toys, they actually demonstrate how they understand the world around them. There is a wide range of pretend toys from which you can choose. For example, by playing with pretend play kitchens children can learn social and communication skills by cooking diner, baking cookies, washing dishes, and taking a role of being chefs in a famous restaurants. Another thing that is also very important when playing with your kids is to always encourage them to play the main role. The one who will initiate the make-believe play should always be your kids. Your role in such games as a parent should be to encourage, support and assist if necessary, but never to control the game. Let your children explore different ways in which they can play with pretend toys. This way they will develop physical, motor and mental skills which will definitely help them throughout their lives.